[패턴영어] ~에서 생겨난 His liver cancer developed from his drinking habit. 그의 간암은 음주 습관에서 생겨난 거지. 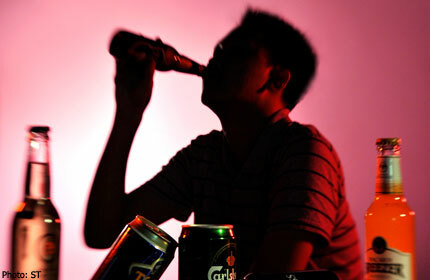 His liver cancer developed from his drinking habit. 그의간암은 음주 습관에서 생겨난 거지. My small idea developed into a big business. 그개념은 친근한 대화에서 생겨난 거야. The concept developed from a friendly conversation. 수줍어하던 소년이 건장한 남자로 성장했어. The shy boy developed into a mighty man. 그들의 연애는 오랫동안 지속돼 온 우정에서 비롯되었어. Their romance developed from a longstanding friendship. 말 한마디의 실수가 씨앗으로 번졌지. A slip of the tongue developed into a fight. 그 재앙은 오해로부터 생겨난 거지. The catastrophe developed from a misunderstanding. My midnight snack developed into a meal. A : 빌이 어쩌다 그렇게 병이 든거야? A : How did Bill get so sick? B : 그의 간암은 음주 습관에서 생겨난거지. B : His liver cancer developed from his drinking habit. A : 조그마하던 타미가 훌쩍 컸네! A : Little Tommy grew up quickly! B : 수줍어하던 소년이 건장한 남자로성장했어. B : The shy boy developed into a mighty man. A : 나는 네가 그냥 조금만 배고픈 줄 알았네. A : I thought you were just a little hungry. B : 내 야식이 식사로 커졌지 뭐야. B : My midnight snack developed into a meal.